Let play a game! Start thinking about your car’s most important safety features. What do you think about? Crumple zone? Air bags? Antilock Brakes? Oh yes, those are all crucial! What about the seatbelt? That is an important one. Have you thought about your tires yet? No? That is understandable. Most people don’t consider tires to be an important vehicle safety feature, but the reality is, they may be the most important one. Cars are incredibly complex and powerful machines. They are capable of traveling at amazing speeds. We can steer them wherever we want them to go. It is easy to forget that the only interaction your car has with the road is through your tires. Each and every time you move your steering wheel, you are actually moves your tires! 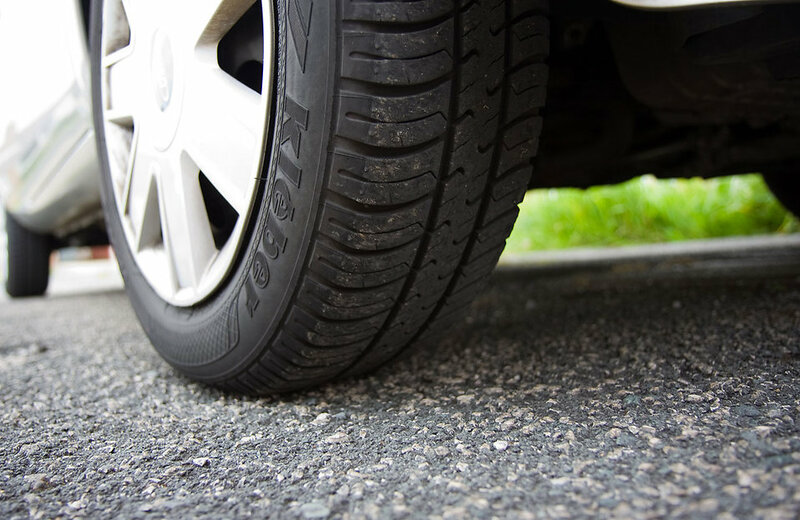 Keeping your tires in excellent condition is one of the best things you can do to keep yourself out of an accident. Having well-maintained tires improves the handling of your vehicle, giving you more precise control over it. Being attentive to tire maintenance also decreases the odds that you will experience a tire blowout, an event that often leads to an accident. Routinely taking care of your tires can prevent you from being stuck on the side of the road this hot summer and it can even save your life! When considering proper tire maintenance, there are two things that we focus on: inflation and wear. It is a good idea to check your tire pressure at least once a month. To accomplish this, you can usually check once every 3-4 times you fill up on gas. Make sure the tire is inflated within the range recommended by the manufacturer. This range is typically listed on the inside of the driver’s door or in your owner’s manual. Finally, keep an eye on the wear of your tire. If it is going bald, or if the tread is worn thin, consider replacing it. Not only are you in danger with a worn tire, but you are also negatively impacting your gas mileage.